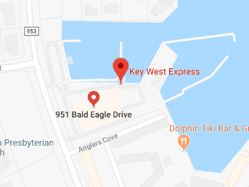 The Key West Express provides flexibility and convenience when it comes to planning a romantic getaway, family outing, or weekend with friends. Choose your destination, select the dates you’d like to go, and tell us how many people you have in your party...it’s that simple. Book online through our secure, automated reservations system now, and you’re all set to go! Whether your wanting to plan a day trip or stay multiple days, the Key West Express is ready to give you a fantastic experience! The first step in the booking process is to select the dates you'd like to travel. We travel year-round to Key West from our Ft. Myers Beach location and on select days from Marco Island during the winter high season. Take a look at our Cruise Schedule for available dates. Sailings from Ft Myers Beach are abbreviated FMB and Marco Island are MI. Our large, jet-powered catamarans are capable of holding hundreds of passengers, so we are able to accommodate groups of any size. Whether you're a solo traveler looking for adventure, a couple or group of friends looking for a quick getaway, a family wanting an island vacation or a large group celebrating a wedding or business retreat--we have you covered. We do offer group rates for those traveling with 15 or more people in their party. The Key West Express knows the needs of a group differ from the independent traveler and everything possible is done to best accommodate that. These group discounts are available throughout the year, even during the peak winter season. Please see our Group Booking page for more information. Step 3. Book Your Trip! You've selected your dates and determined how many people are going, now it's time to book your trip to Key West! Simply visit our booking page and input your information. Once finished, we'll send you an email with the necessary information you'll need to board the ferry and enjoy your nautical experience. In this email you'll be given a confirmation code, the names of each person in your party and your cruising dates. 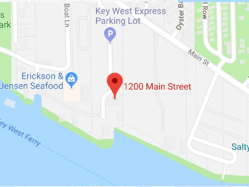 Simply have that information and a government issued, photo ID for each passenger ready when you arrive at the Key West Express terminal, show it to the agent at the ticketing window and you'll be ready to board. Discounted fares must be purchased online at least 8 days in advance of travel. These fares are non-refundable but, the monetary balance remains available for two years towards future travel. 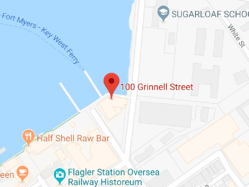 If you have questions, please give us a call at 239-463-5733. 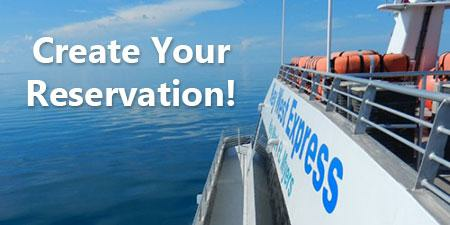 Now that your Key West Express tickets are purchased, it's time to plan the rest of your trip! Use our Prepare, Plan & Go tool to help you with places to go, places to stay and places to eat. With so much to do and see in Key West, we want to help you get the most possible from your experience. Key West is a special place and we know that once you visit, you'll fall in love with the island's spirit and want to return time and time again.